Here at Redcliffe Smiles we strive to provide a friendly, professional and comforting environment. We understand that a visit to the dentist can be daunting. With that in mind the team here at Redcliffe Smiles endeavour to ensure each and every patient feels comfortable, fully informed and most importantly genuinely cared for. At Redcliffe Smiles we make every effort to develop personal relationships with all of our patients and will guide them through their treatment with as much knowledge and understanding as possible. All of our dentists come with a wide scope of dental experience and keep up to date with the latest advances in dental treatment, utilizing the latest technologies available. 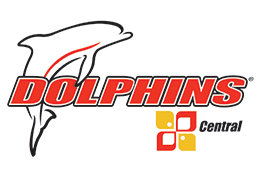 Additional offers are available for all Dolphins Redcliffe Leagues Club members.